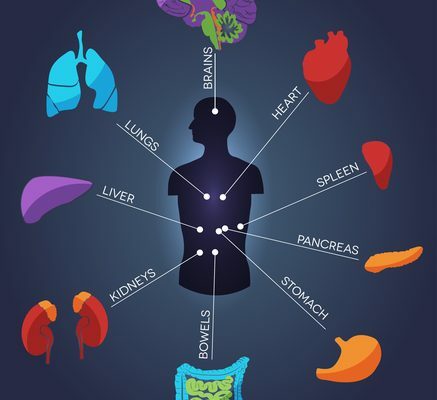 The kidneys, two fist-sized organs located on either side of the spine, perform a life-sustaining role in the body— removing toxins from the body, regulating fluids and preventing excessive buildup, regulating blood pressure, stabilizing blood/mineral balance, and maintaining vitamin B balance. Essentially acting as filters, kidneys cleanse about 200 quarts of fluid in the body every 24 hours. What happens if kidneys don’t do their job? Kidney failure occurs when your kidneys can no longer filter waste effectively, resulting in an overload of toxins in the body. Symptoms include urinating (removing waste) less frequently, swelling from retention of fluids (water waste), fatigue, and nausea. One treatment option for kidney failure is dialysis—using a machine to perform the function of the kidneys by purifying the blood and eliminating waste. While dialysis isn’t a cure for kidney failure, it can help to keep fluids and electrolytes balanced. There are three types of dialysis: hemodialysis, peritoneal dialysis, and continuous renal replacement therapy. Hemodialysis is the most common type of dialysis, which uses an artificial kidney to perform the job function of the failing kidney. This includes surgery in which an entry point is created to the blood vessels so the blood can flow to the artificial kidney. Peritoneal dialysis also involves surgery and uses the abdomen lining (peritoneum) and a cleaning solution (dialysate) to purify the blood. This process involves a catheter and must be repeated four to six times per day. This can be done manually or with a machine. Continuous renal replacement therapy is used to treat critically ill patients, primarily those with acute kidney failure. This is performed 12 to 24 hours per day, generally in the intensive care unit. Unfortunately, this life-saving procedure may come with some uncomfortable side effects including low blood pressure (when too much fluid is added or removed), nausea, dry and itchy skin (due to the phosphorus and potassium in the body), restless leg syndrome (due to vitamin B deficiency), and muscle cramps (from excessive or quick loss of fluid in the body). Fluid overload occurs when there is too much fluid build-up in the body during dialysis, as the kidneys are no longer able to remove enough on their own. This can result in additional swelling, bloating, cramping, high blood pressure, shortness of breath and heart problems. For this reason, the patient must limit the amount of sodium and fluid they consume between dialysis treatments. Fortunately, there are ways to avoid the discomfort—fluid guidelines, additional medical assistance, lifestyle changes or even dialysis adjustment can help to alleviate the side effects. If you are interested in getting involved in kidney-related clinical research, please tell us a little more about yourself in the Contact section of the home page and we will respond to you to determine your eligibility for current and future studies. You can also contact us to inquire about additional current research volunteer opportunities.